Churches in Driffield joining together to present a united witness to the community. The Food bank is open on Mondays 1:30pm-3pm and Thursdays 2pm-4pm at the parish hall at All Saints. Food will be given out using a voucher system. Vouchers can be obtained by those in need from Churches, Doctors and the Children's Centre. Churches Together monthly prayer meetings are starting again in February 2015. They will always be on the first Monday of the month at 7:30pm in the Catholic church hall. 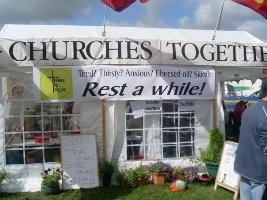 © Churches Together in Driffield 2019. This website may use newsfeeds from and links to other websites: we accept no responsibility for their contents.